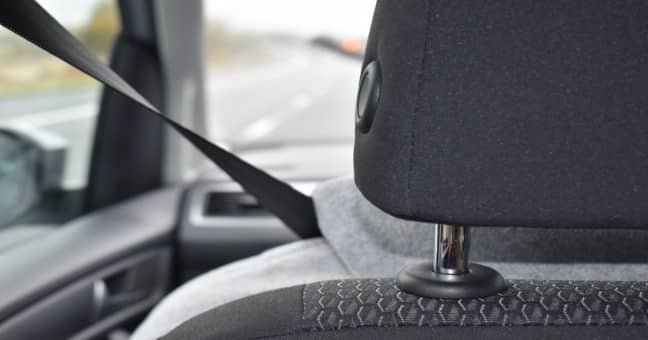 On Friday, August 17th, a Texas jury in the state court of Dallas awarded a Dallas family with $242 million after finding that defects in the front seats of a 2002 Lexus ES300 caused severe injuries to the family’s two young children during a rear-end collision back in 2016. The plaintiffs and parents of the family, Benjamin and Kristi Reavis, filed their Toyota lawsuit on November 2016 following the accident. The family’s product liability attorneys from The Law Offices of Frank L. Branson stated that the jury deliberated for about 8 hours before reaching their verdict, which ruled in favor of the family. How Did The Toyota Lawsuit Begin? In 2016, the Reavis family was driving down State Highway 75 in Dallas County, in their Lexus ES300, when they were rear-ended by a car driven by Michael Mummaw. All of the family members were properly restrained with the children placed in child safety seats. Although Mummaw and his passenger and the Reavis parents managed to come out of the accident without major injuries, the Reavis family’s 3 year-old son and 5 year-old daughter were hit in the head by the two front seats in the Lexus that had collapsed backward, resulting in skull fractures and other severe and permanent injuries. Following this, the Reavis family filed their lawsuit claiming that Toyota Motor Corp. and Toyota Motor Sales were responsible for the injuries their children sustained while in the Lexus. The family claimed that the defective design of the front seats is what caused severe injuries to their children during the accident. The family’s attorney Frank L. Branson also released a statement about Toyota saying, “They had plenty of time to design around these safety shortcomings or at least provide the public with warnings.” Branson also stated that Toyota was aware of the dangers and risks but chose to remain negligent. The family was awarded a combined verdict of more than $242 million, with approximately $144 million in punitive damages against Toyota. Along with other awards, the jury’s verdict included: $3 million each for the emotional and mental suffering of Benjamin and Kristi Reavis, over $18 million each for any future physical impairment contracted by the two children, $21.5 million for one child’s future medical expenses and $19 million for the other child’s future medical expenses. At The Eichholz Law Firm, we have over 40 years of experience in personal injuries from car accidents. We can help to guide you safely past the dangers of dealing with insurance companies. Our car accident and product liability attorneys can provide you with legal counsel and get you the compensation you deserve. If you’ve been involved in a car accident and suffered injuries due to another person or entity’s negligence, contact the Eichholz law firm to get a professional attorney on your case.